The beauty of the trees. Laughing, playing with a toy. Who are 1/1000ths of your weight. But don’t decide their fate. Life’s not about avoiding storms. Instead, dance in the rain. Why must we cause it’s pain? To glance at the starry night. Have a great week ahead people. 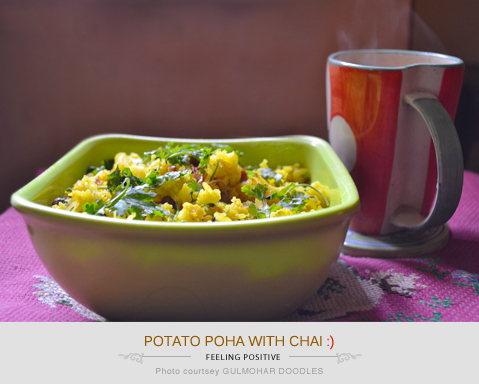 We started our day with some lovely potato poha and steaming cups of chai. May you all stay positive and blessed!